Surrender at 20: Red Post Collection: Sona nerf hotfix, August sales Schedule, July bundles & Mystery skins, and more! 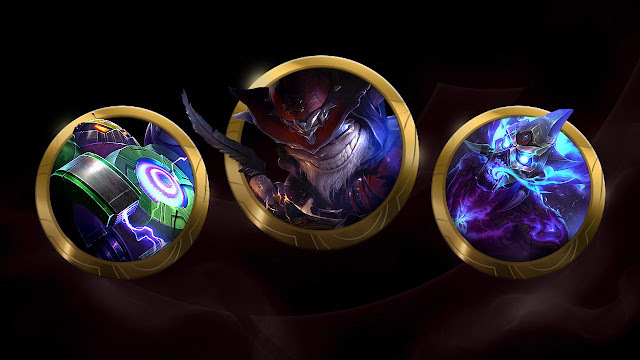 This morning's red post collection includes a few Sona nerfs in a 6.14 mid patch update, the August champion and skin sales schedule, July bundles and mystery skins in the shop through July 26th, and more! It’s time for July bundles and Mystery skins! The 6.14 patch notes have been updated to reflect two Sona nerfs that were pushed to live earlier today! SELF MOVEMENT SPEED 16/17/18/19/20% ⇒ 13/14/15/16/17%"
"tooltip in game is updated as well"
when i worked on her, i spent a decent amount of time changing how her scripts pulled data as well as overhauled the tooltips such that we could easily update her in the future. essentially, i wanted to make sure that doing updates to her were as painless as possible, and that had other side benefits such as making hotfixes really clean to do. other champions have some/all of their kit set up to work like this too, but since it's not consistent we'll run into the occasional case like the malz hotfix you mentioned." "It's a new underlying system that makes making future changes faster and easier. We've been hooking up all the new champions to the new system over time and will be done pretty soon. The main risk is the amount of testing time required since in each instance we need to touch most of a champions scripts to get them onto the new system so we tend to do them in smaller batches. If you saw the bug on PBE where Amumu could fly across the map with a single bandage toss sometime or Alistar one shotting dudes with Trample a few patches ago those were bugs from the rescripts. The nice thing about these specific rewrites is they are almost always very obvious when bugs occurs, we still gotta be careful though." 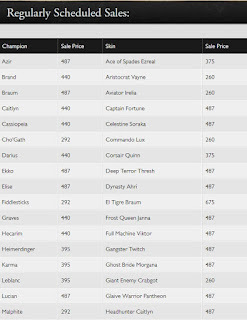 Next up is the August sales schedule, including all the champions and skins that will be on sale next month as well as the early sales that will be out closer to the end of August! July's sale schedule and early sales can be found here! Speaking of sales, several July bundles are now in the shop through July 26th - Mystery chests and skins have also returned for a limited time! "Grab these limited-time bundles and Mystery skins now through 7/26 at 23:59 PT. Next up we have a grab bag of posts from Reav3 on champion updates, the assassin update planned for late 2016, and skin splash art updates. In terms of overall champion updates, Reav3 commented on "medium scope" updates like Shen and Fiora, saying that in the future they plan to just do full treatment for all updates - similar to Ryze. Because a new VO was out of scope for those updates. Similar to how they didn't receive a new set of animation, they still have the same emotes no recall. Fiora & Shen receieved meduim scale updates, so they were never intended to have all the changes that came with the large scale updates. As for MF, she 1st received a VU with very minor gameplay changes, the received the actual rework months later. So updates weren't do all together. Ryze & Trist were larger scale updates where they were intended to have a new VO & new set of animations along with the rest of their VGU. The same thing happened to GP, Sion, Poppy & Taric. This. We have decided to cut out the medium scope updates though, going forward. In the future (at least for now) we plan on doing the full treatment for all our VGUs and leaving the smaller scope stuff to the class updates." Can you comment on what your plans are for Rengar, more or less? Will his kit change a lot or will it be similar to what it is right now? It's probably too early to talk about the Assassins as we haven't locked down the exact number we are doing and which champions we are doing yet. WE are getting close though so it shouldn't be too much longer until you start seeing the design direction posts going up." Is Akali a good contender for an update? 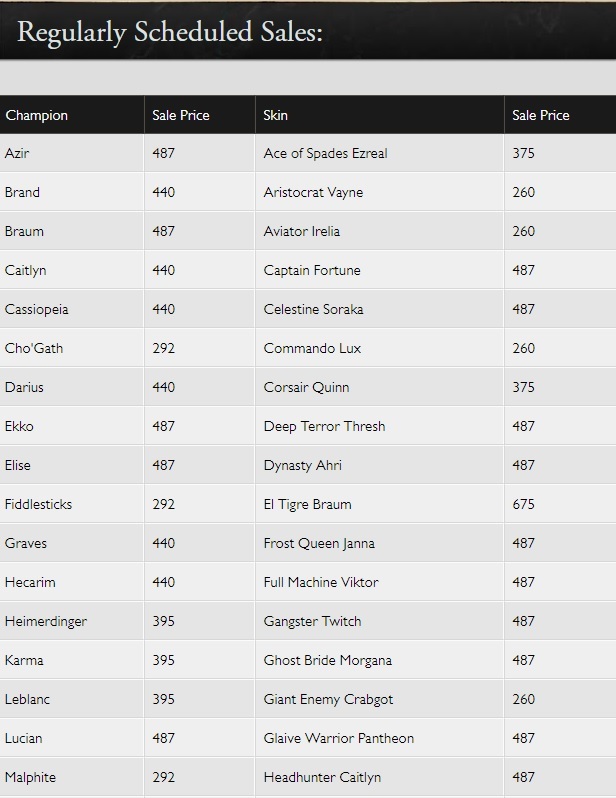 If Akali and/or Katarina do get selected for the update will their model be updated? We are looking into Akali as a possible candidate. Early read seems to be that she requires more work then a roster scope project (her art is pretty low quality by today's standards as well.) 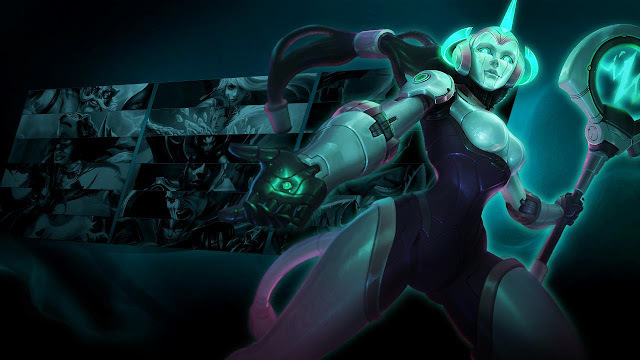 While we might find something small that could work for her, it is likely she will need a full VGU in the future. If that's the case we would likely choose to work on a champion that we would get more mileage out of and wouldn't need a full VGU anytime soon. We learned that lesson with Morde in the juggernaut update. 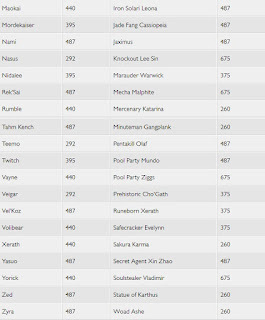 Morde really needs a full VGU in the future and we should of held of on changes until that time came. Do you have any insight you could give on potential Ekko changes/The direction Riot intends to take him in if hes targeted for a rework? If we work on Ekko it would probably be minor changes targeted at solidifying AP Ekko and making Tank Ekko much less viable." "This post is slightly misleading. I said we think speed is important to her theme, and by that I was referring to her being very agile/quick, where as Zed is more about shadows and shadow clones. This wasn't related directly to her kill time, or combo speed. We also haven't 100% committed to working on Kat, she is still on the table though :)"
If you do work on her, do you have any idea if your going to keep her team Assassination power? because to me that is what makes katarina katarina. Nothing is certain yet, but Kat being the "Teamfight" Assassin is certainly a distinct quality when it comes to the class as a whole." Anything planned for Zed at the moment? If we do work on Zed is would likely be small changes. We usually don't do the small changes until the end of the project." Wait, I can't really imagine Zed anymore shadow-y what would change? Using the skills with shadows is so ninja, and being able to swap is too. I doubt we would do any major changes that make Zed any more or less shadow-y. Should we work on Zed it would probably small changes to make sure he has a clear, distinct role in the assassin roster." We classify Diana as more of a diver then a Assassin. Once we get to Divers she would probably be on the table though"
Reav3 also had a few comment regarding upcoming skin splash art updates similar to those that Nidalee, Tristana, Trundle received in recent times! There will likely be a few one-offs that come out here and there too. We didn't get through all the 80-90% completed splash we had in the large release that came out right before the Trist/Trundle/Nidalee splashes. Expect to see those pop up every so often, with maybe a couple very soon." I remember seeing somewhere that they should be the next major ones to be released. I think they wanna do 'em all in a batch though. We are currently working on Sion and Fiora's updated splashes. Twitch will likely be after those 2 though." 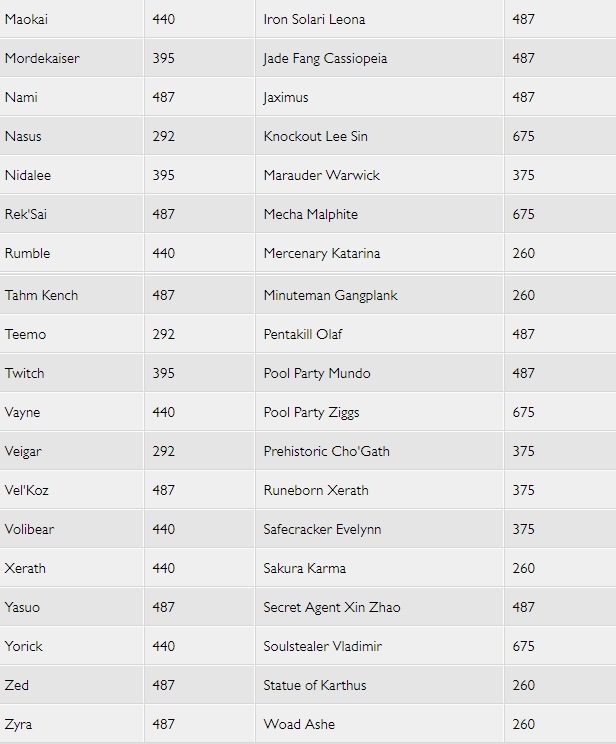 Oh yeah, Sejuani is on the list as well!"